Nothing is more nerve-wracking than to buy houses the first time in Phoenix, AZ. You need to go through a complicated process and meet some hurdles that might impede your goal of getting your dream house. 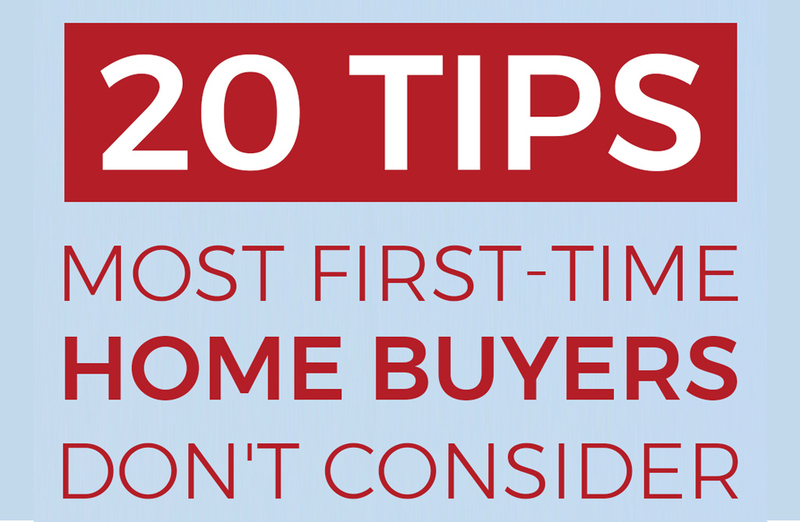 To make your first-time home purchase a little less daunting, here are 20 tips that you need to consider. Lenders usually ask 20% down payment, but a lot of lenders now allow much less. First-time homebuyer programs now allow as low as 3% down, but even a low down payment can still be large. Let's say you're buying a $250,000 house, a 5% down payment is $12.500. Putting a down lower than 20% also entails higher costs and a payment for private mortgage insurance. To secure the money for the down payment, consider saving your tax refunds, work bonuses, and a bank savings plan. Before you buy a house, think long-term. Are you planning to have a family? Are you considering getting a pet? Do you plan to re-sale it in the future? In that case, who will be your target market when it's sold on the market? If you're planning to have children, choose a large house with enough space for an additional bedroom. Look for a large yard and durable flooring if you're considering pets. Consider the repairs and improvements if you want to flip the house. When choosing a house, look for the nearest school district. Even if you don't have children, residing near the best school districts will increase the value of your property. This is good if you're planning to resale the house in the future. What you should avoid is to live near a large playground. It will be noisy with the squeaky sound of swings every day. This also doesn't guarantee a selling point for resale. If you don't like to be surprised, check the building plans close to your home. When you're applying for a mortgage loan, make sure that your credit isn't dismal. Your credit will be an important factor in determining your interest rate and loan terms. So before you start the house buying process, check your credit. Check for any errors and dispute if there's so you're credit score will be improved. Also, look for opportunities to increase your credit by paying your outstanding debts and limiting your purchase habits. Contrary to popular belief, purchasing a house is an emotional process. Ideally, you shouldn't use your emotions when assessing a house but, that's impossible. Your emotions will tell you what features you want and what essentials you can't give up. To make your home search simpler, create a checklist of the features that must have, good to have, and other essentials. Then print the checklist so you can bring it each time you visit a house. If you like a house, refer to your checklist and see if it has all the features you want. If you're ready to find the house that you want, search the market. Use the multiple listing services (MLS) to find any available properties in your area. The MLS will offer the recent data about homes, their qualities, and their prices. Using it is easy. 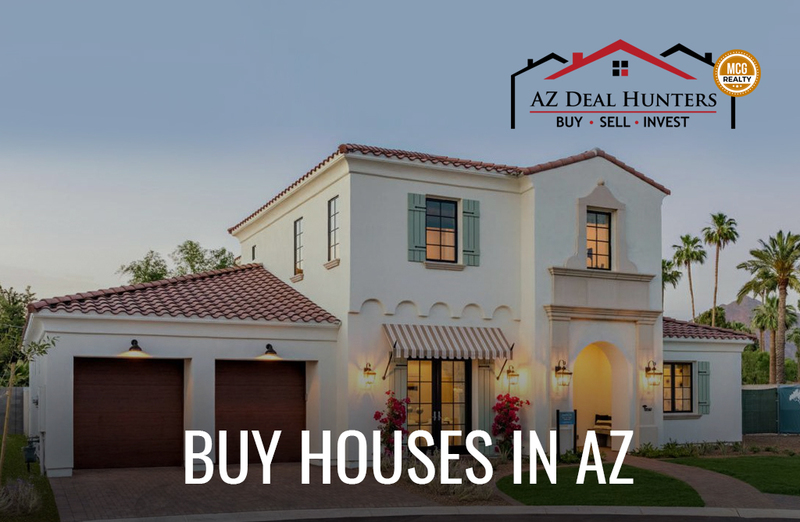 In the MLS of AZ Deal Hunters, simply enter the county, city, price range, and other essential information then search. 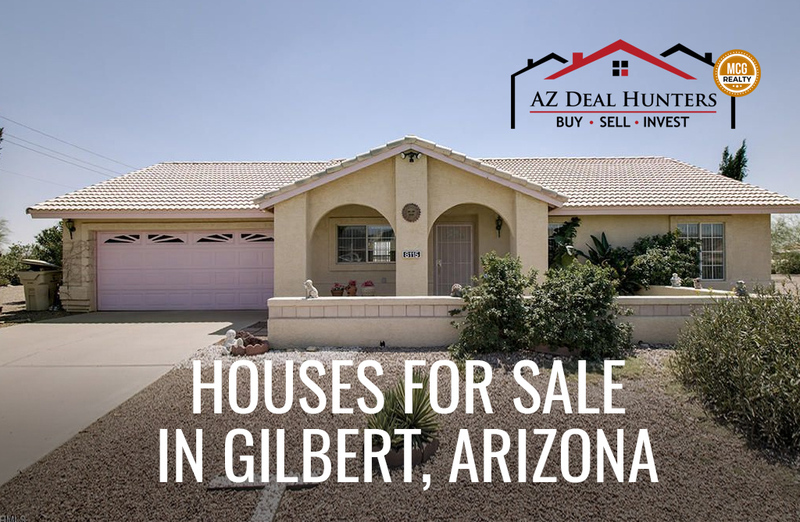 So, if you're looking for houses for sale in Gilbert, Arizona, find Gilbert in the city list and input the necessary information. Often, the bank will tell you how much you can afford. You don't necessarily have to believe what the bank says because it doesn't take into account your other monthly expenses. To prevent yourself getting poor, you need to find out how much can afford, which takes us to the next tip. When making the budget for the house, consider other costs like home improvements, transportation cost, and utilities. Don't forget major fees that only happen once a year, like yearly vacations and insurance premiums. Subtract the total costs of your gross monthly income and you'll get the amount which you can spend on your new house every month. If you don't know how much the utilities cost exactly, ask an estimate from the utility companies that service the home you're taking into account. To get the transportation cost, estimate how much commuting or gas will you spend if you move into the house. Consider all these costs and see if you can bear the expense of buying the house you're considering. Aside from banks, there are other funding options that you may not know yet. Have you heard of grants and funding sources? You'd be surprised that the income limit for these forms of funding is very generous. There are grants given to different professions (grants for fishermen, teachers, etc.) as well as the place of the prospective home (whether it's in suburban, rural, etc.). You could also try asking your family members if they can pitch into the down payment. Crowdfunding is also a good option to gather funds from anonymous benefactors. When inspecting a house, take a closer look at its structure. There are instances where the problem of the house is unseen. For example, you might be led to think that the roof is new but the real deal is there exists a worn layer underneath that might cause leaks in the future. Also check the walls, floor, and pillars. Determine any signs of damage so you can budget for the cost of repair. Don't just take anyone's word. Check the house yourself and pay attention to details during the inspection. If any flaw is noticed during the home inspection, use it in your favor. Try to negotiate a price reduction to offset the flaws. If you're successful, you can use the extra money for upgrades and repairs. There are many cases wherein flaws are taken care of like a credit. That's what usually happens on a high-dollar show. However, if you've seen too many flaws, you might as well forget the house and look for another. Even if it's impossible to get it all, don't be afraid to ask for repairs or compromises. You're likely to end with a good result if you ask more. There's no retreating when you sign the contract. So before you can fully commit yourself to the home sale agreement, read the contract and understand the terms carefully. If there are any terms that you don't understand, ask your real estate agent or your mortgage broker. If they give a very vague answer, fire them. There are more professionals who are more than willing to help you through the buying process. When you evaluate a house, don't be fooled with the staging. The aim of every staging is to present the house a desirable as possible. However, there are cases wherein the problem areas of the house are hidden with flashy furniture. In one instance, a beautiful night lamp was decorated in the corner. Little do we know that there are no plug points near the area. So the moral lesson of the story is, set aside the staging and evaluate the house as it is. Look more closely at the house layout and the structure. Even if the wall is ugly, you can repaint it later. The most common mistake of first-time home buyers is to be too ideal for the house that they want. There's nothing wrong with keeping a wish list on what your new home should have, but don't be inflexible that you end up with nothing. As a newbie in the home buying process, it's not bad to compromise on something due to lack of funds. You may have to accept an old decor, do some repairs to the house, or live on a noisy street. Of course, you can always opt to continue renting until you can find the best house for you. There's nothing more satisfying than to live in a peaceful community. Before you take the plunge, visit the neighborhood and check if it's safe. Are there delinquents in the streets? Is the road always busy? The best time to visit the neighborhood is Sunday. It's when people are off from work and do their favorite activities. You can observe from afar or interview some people in the neighborhood. An open house is a great opportunity to get the feel of the neighborhood. During this event, look closely at the home's overall condition and detect any smells or damage. Ask any questions relating to the house, such as it date of foundation, the last time items were replaced, and the age of the air conditioning systems. If many potential buyers are attending the open house event with you, don't be shy to schedule another visit. In most cases, there are many potential home buyers you'll be competing in one house. To make sure that you stand out in the competition, make your offer as compelling as possible. Make sure that you stay within the budget. You don't want to get the house of your dreams but live in poverty and high debt for the rest of your life. Don't buy studio unit when you plan to have kids in the future because where will you put your kid's bedroom? For the same reason, don't buy a one-bedroom home just because it's more affordable than a three-bedroom house. You should consider what's important and don't compromise it with the price. Truth be told, being a first-time home buyer means a lot of compromises, especially if you have a limited budget, but don't take risks that will be a major problem in the future. If you want to have kids in the future, look for a three-bedroom house and compromise a little on a smaller garden. Your lender will ask you to purchase a homeowners insurance before you close on your new home. To find the best deal, look around and compare rates. Pay attention to the policy coverage- usually cheaper policy means fewer protections. It's not a bad idea to have a list of options because sometimes an insurer can reject your house if it's not happy with what it sees. For fixes and upgrades, you need to use an experienced contractor. Unlike doing it yourself, a contractor will use quality materials and excellent craftsmanship. There's nothing more important than aesthetic details when you resale the house in the future. 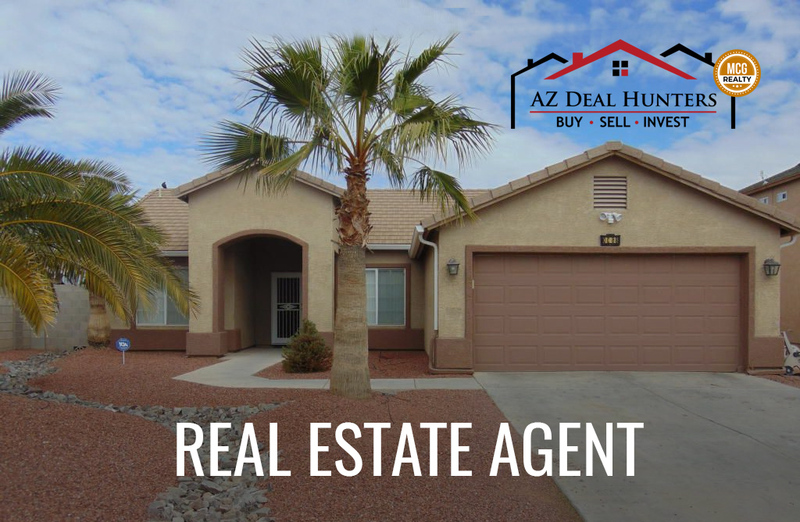 If you want to work with a real estate agent, make sure that he/she has a long experience in your local area. You can ask your local real estate agent to search and visit the house with you. 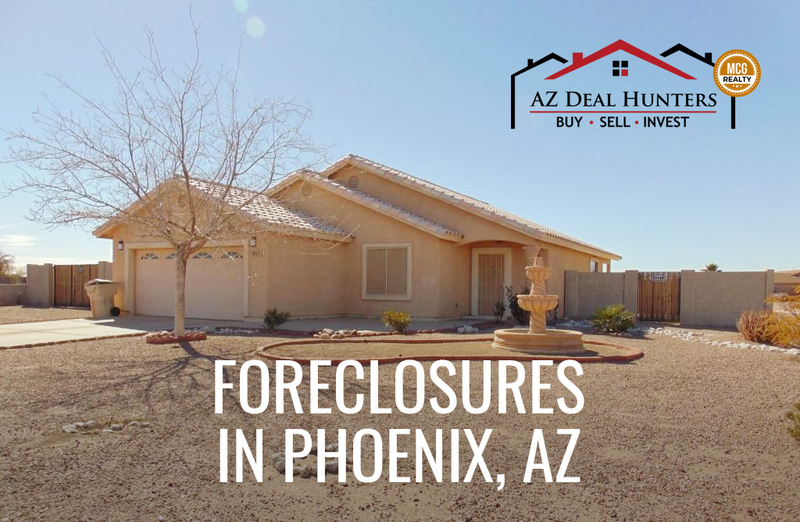 From homes for sale in Maricopa County, AZ to foreclosures in Phoenix, AZ, AZ Deal Hunters will help you find the best deals that fit your needs. 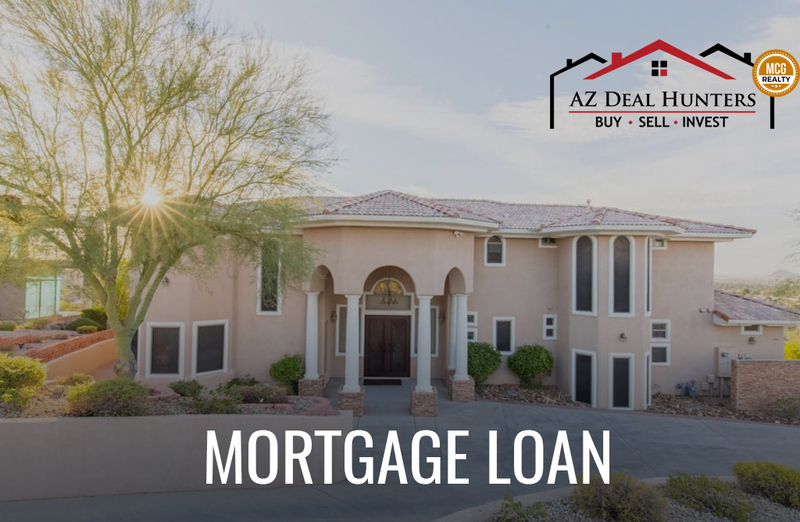 For more information, call 480-432-7049 today!.